For years I thought I was M. Night Shyamalan’s foremost apologist. Most people wrote him off a couple of films in, but not me. Signs? Love it. The Village? Love it. Hell, I even like The Happening. But then in the last couple of years, critics have been talking about his comeback. I went into The Visit hoping for something special, and I didn’t get it. As a consequence, I had low expectations for Split. And even then, I was disappointed. The brilliant Anya Taylor-Joy stars as one of three girls taken captive by James McAvoy’s character. He’s a man suffering from Dissociative Identity Disorder…except it’s, you know, Hollywood Psychology’s version of it. 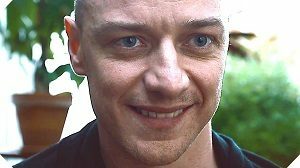 Shyamalan doesn’t have a great track record at portraying mental illness, and with Split he just throws caution to the wind, and turns gauche into flat-out idiotic offensiveness. See, I was prepared for the poor representation of DID. I didn’t realise he’d throw in some child abuse for good measure too. Sigh. So this film is well and truly into exploitation territory, but not in a “we’re going out of our way to be offensive” kind of absurdity. This is just straight-faced, ill-informed nonsense that really, really shouldn’t have been put on the screen. Once again, I find myself wishing that Shyamalan would just find some other people to write his films, because once again, this film proves he is a master craftsman. The cinematography is fantastic. The direction and performances are on point. But the story is so tone deaf that it doesn’t really matter. I was so removed from the film that it never brought me to the edge of my seat, even when it was trying to ratchet up the tension. Taylor-Joy’s character, Casey, isn’t someone I was rooting for. She’s completely oblivious to the terror of her fellow captives, and whilst the movie suggests she’s going to use her intellect to escape the situation, she never does. When it comes to the crunch, she has zero agency. I’m really at a loss to explain why Split has received such a positive critical response. At best, it harks back to the visual style of Hitchcock (something Shyamalan’s been doing since The Sixth Sense anyway) and has a fantastic soundtrack courtesy of West Dylan Thordson. It’s clear that McAvoy’s having a field day, too, which is fun for him (but not so much for us). I’d like to be interested in Shyamalan’s next film, whether that be Labor of Love (which has been languishing in development hell for 20 years) or the much-rumoured Unbreakable 2, but at this stage it’s hard to care.